Recently the Killinarden angling initiative had a raffle and we provided one of the prizes which was a trip out with Kit Dunne and ourselves. 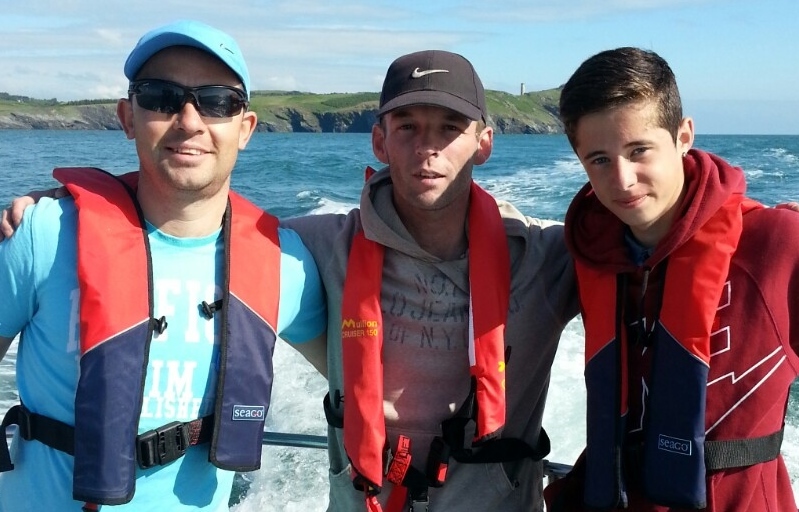 Joe Radford won the trip, and we picked him up around half seven yesterday morning for his day out with Kit. The weather was amazing and with Kits help we knew he was in for a good day. 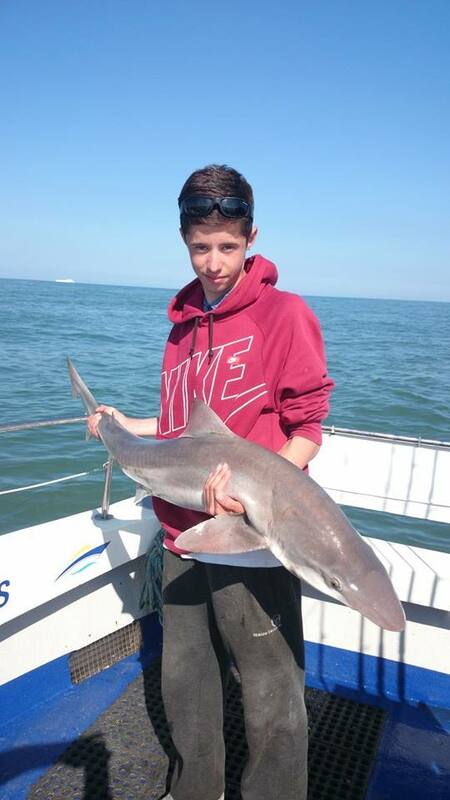 Joe proved to be a gifted young angler and able to eat a crazy amount of jellies! 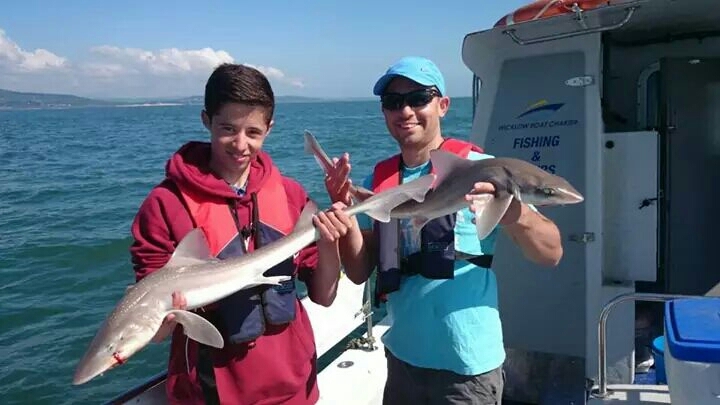 The tope were slow recently on the usual marks, so Kit brought us to a mixed mark first where we were into fish straight off, with Joe having a fish a drop, catching his first ever smoothounds and bull huss. If he wasnt eating a wine gum he was winding in! It was mostly small to medium smoothounds and huss with the ever present doggies. We really wanted to see Joe get his first tope, so we decided to up sticks and move for the last couple of hours to another mark. We were soon getting more bites and the tide was pushing again. Although we were getting many snatchy bites, the fish were dropping them as soon as picking them up. We tried a variety of presentations and different weights, the tope were being very shy and dropping them straight off. With limited time left the ratchet on Joe’s reel went again and this time a much more positive take. 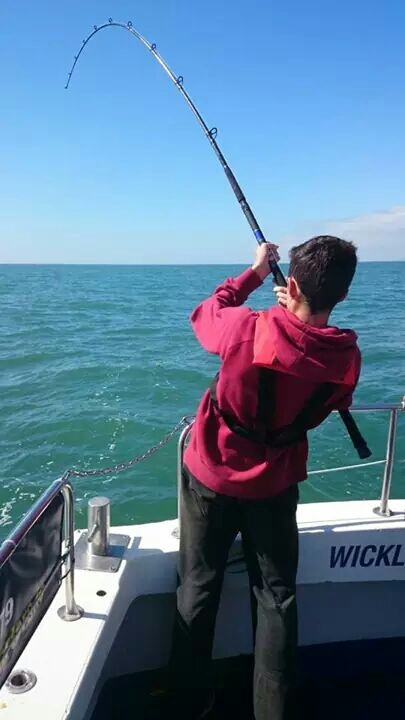 Joe was now feeling the power of his first ever tope and with that Aidan’s rod was now also bent into another. Kit was soon netting Joe’s fish before doing the same for Aidan. Joe was over the moon and with pics taken it was mission accomplished. We fished on with just one more dropped run to Joe’s rod. It was now time to head back to the harbour. We said our goodbyes to Kit and dropped Joe back to his house. Hope you had a good day Joe and thanks as always to Kit for putting us on the fish. 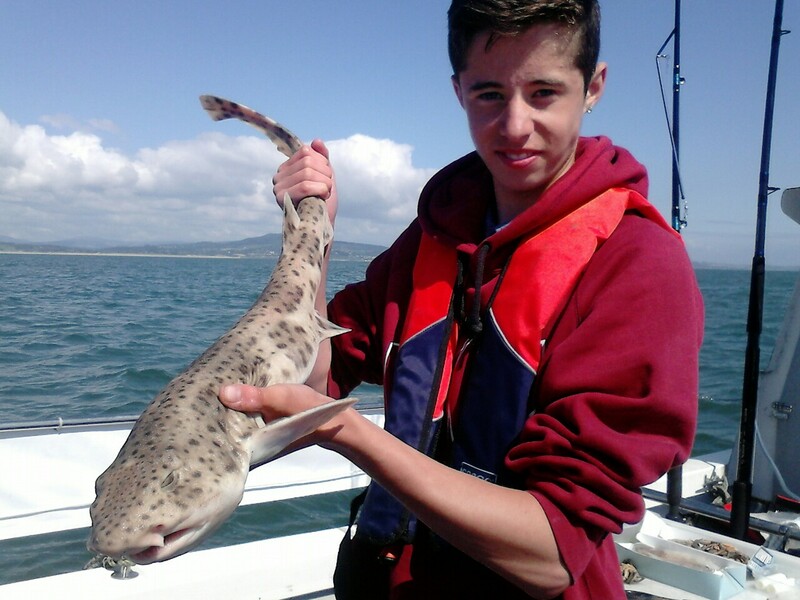 If you would like a great days charter get on to Kit as it still early days for the summer…. 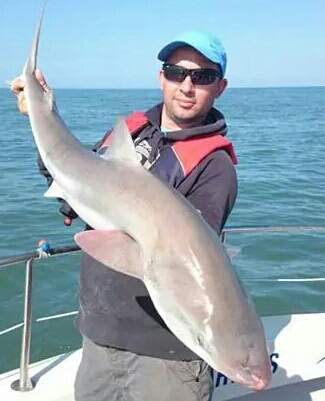 This entry was posted in Boat fishing and tagged tope, Wicklow boat charters. Bookmark the permalink.